Xiaomi comes with its new “Poco F1” sub-brand, the smartphone remains a firm part of the Xiaomi family. 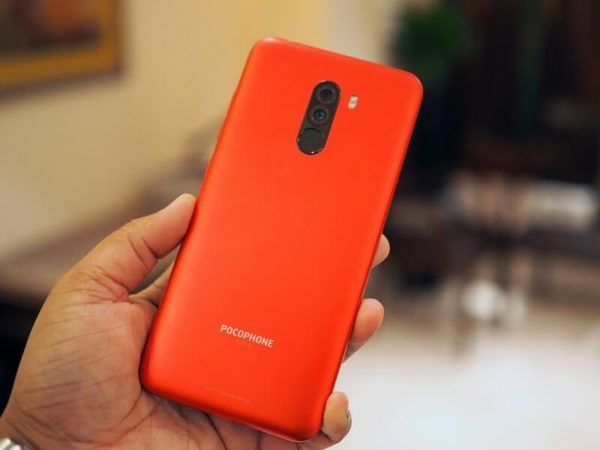 Xiaomi once again proved that when it comes to pricing the flagship device no one could ever stand infront of them and Xiaomi did it again with its new “Poco F1” sub-brand, the smartphone remains a firm part of the Xiaomi family. Here some of its outstanding features of Poco F1 at a given price. Although I never consider pricing as a feature but with Poco F1 launch it has completely changed my mindset. The biggest feature of Poco F1 is its pricing making its cheapest Smartphone with “Snapdragon 845” available in the market for Rs 20,999 [$300](6GB+64GB) the mid-variant with is priced at Rs 23,999 ($343), and the top-end variant is priced at Rs 28,999($415). Making every other Flagship devices run for their money. The Poco F1 comes with the latest Snapdragon 845 SoC and comes with 6GB or 8GB of RAM and storage options varying from 64GB to 256GB. Additionally, the phone has liquid cooling solution, which promises ‘industry-leading thermal performance’. The system promises cooler functioning even under heavy usage, which will not only enhance performance but also improve battery life and longevity. Xiaomi Poco F1 features a notched IPS LCD screen of 6.18 inches that offers an impressive screen space with Full HD+ resolution of 2246 x 1080 pixels along with an aspect ratio of 18.7:9. The display offers up to 500-nits brightness and a high contrast ratio of 1500:1 and the protected by Gorilla Glass. 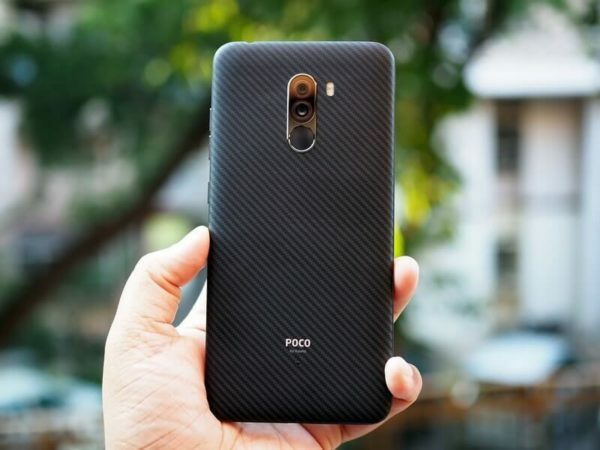 The Poco F1 flagship phone does not feature a glass rear like other flagship phones which is a sign of serious cost-cutting instead it features a hard-coated polycarbonate unibody that has been reinforced with the internal frame structure. 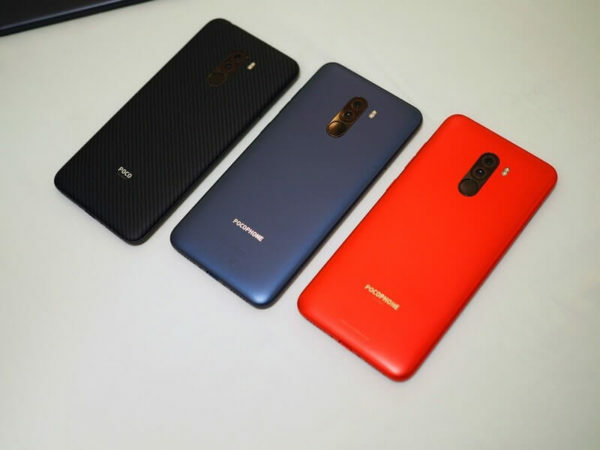 The three color variants of the smartphone include Graphite Black, Steel Blue and Rosso Red. I am not highly impressed by the Poco F1 camera department as I have seen better than this from Xiaomi brand only. It comes with Dual camera of 12-megapixel Sony IMX363 sensor which has a massive pixel size of 1.4micron coupled with 5-megapixel secondary sensor is present on the backside of the Poco F1. It has features like Dual Pixel Autofocus, real-time AI photography and dual-LED flash. Lets move to the front side where you’ll find the a 20-megapixel selfie camera which is also powered with AI for capturing enhanced selfie shots. Kevlar Armour Edition – There is another special variant of the phone called Armored Edition that is made out of Kevlar aramid fiber, a highly durable material that is used for making bulletproof vest. The other connectivity features available on the Poco F1 include dual VoLTE, Wi-Fi 802.11ac, Bluetooth 5.0, GPS, USB-C and 3.5mm audio jack. It is also equipped with Dirac HD Sound along with dual Smart PA for the amazing audio experience. The Poco F1 phone is significantly lower priced than equivalent variants of competing smartphones, without any compromises on the specification sheet. Xiaomi Poco F1 can be availed with an instant discount of Rs. 1,000 for HDFC user.